Cpl. Milton W. Brown, son of Mr. and Mrs. George M. Brown, graduated from Frederick High School. Entered the service in Aug. 1943, trained in Sheppard Field, Texas, Camp Butner, N. C., Camp Roberts, Cal. 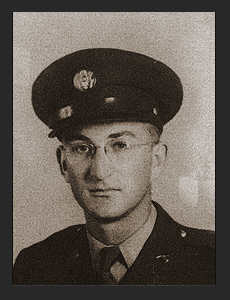 ; served in France, Luxembourg, Germany, Czechoslovakia; was discharged in Oct. 1945. Awarded Combat Inf. Badge, Cood Conduct Medal, ETO Ribbon with two Battle Stars, Am. Defense Ribbon.